Chris Hemsworth and Tessa Thompson Reunite for Men In Black. Fighting interplanetary arena warriors, gods, and undead Asgardians wasn’t enough. Chris Hemsworth and Tessa Thompson, stars of Thor: Ragnarok, are reuniting next year as the all new Men In Black. As seen on ComicBook.com, Thompson recently shared a set picture on her Instagram account that offers a new glimpse of her character working alongside Hemsworth’s agent. Tessa dubs the two alien hunters “Buds in Black”. Though this a more encompassing term for the two than Men In Black, I would bet it is not the title of the film. It is unknown why the two are wandering the desert. This scene could take place at any point of the movie. Perhaps they are beginning the chase for an alien. Or maybe this is a long walk back to society in hopes of saving the day in time. There is much to be speculated based on the attire of both stars. This new Men In Black movie could follow the path of the original and feature a veteran training the new recruit. Tessa Thompson is standing with confidence. She carries a perfect sized umbrella for protection from the desert sun. Her tie is firmly in place and disappears into a custom tailored suit. The shoes match seamlessly with the suit and look appropriate for the office or walking through sand. Chris Hemsworth, on the other hand, looks like a mess. He has the fashion sense of a boy borrowing his dad’s suit. His tie flops in the wind and exposes an unbuttoned jacket. His shoes look inappropriate for any setting other than the clearance bin. Worst of all are the white socks poking out. Who wears white socks with a black suit and shoes? All of this costume design leads us to believe that Thompson will play the veteran MIB agent and Hemsworth will be the new recruit. 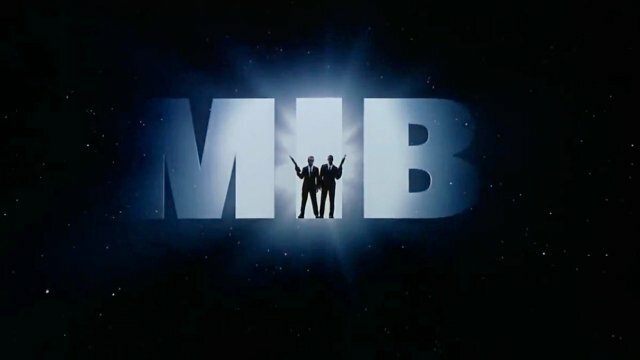 The original MIB films leaned more on comedy than sci-fi. And Hemsworth has repeatedly shown his skills as a comedic actor, most notably in Thor: Ragnarok, Ghostbusters: Answer the Call and Vacation. If any of these theories prove true, Men In Black fans are in for a great time in 2019. What are your thoughts and theories for this upcoming movie? Let us know in the comment section below.